News flash! Strange ships in the sky! Are you prepared to travel back to the 1950s and defeat the impending alien menace? I hope so, because if you fail, then time rewrites itself or something. Never figured that out. Anyways, Fortified, an action tower-defense title in the same vein as Orcs Must Die! 2 and Iron Brigade (formerly titled Trenched), arrives February 3 for the Xbox One and PC. The game has its own unique hook to the genre by setting it in the trappings of the pulp fiction of the 1950s, from the the polished steel and clear dome heads of the robots to the four heroes you can choose to play. In addition to being able to building towers and shooting the invading menace directly, Fortified also adds RTS elements by allowing players to command troops to help in the defense of city. 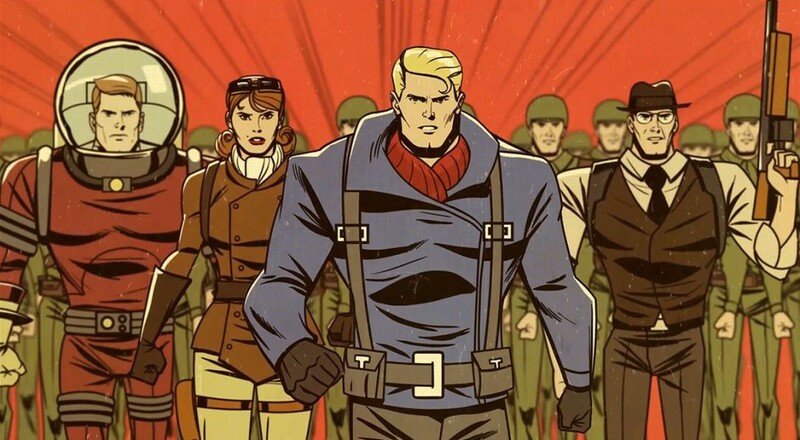 Fortified supports up to four players online, and will retail for $14.99 when it releases in a couple weeks on the Xbox One Marketplace and Steam. Page created in 1.3046 seconds.